When you make one of these crockpot roast chicken recipes you can also add chopped vegetables. Cubed potatoes, chopped carrots, chopped onions or Brussels sprouts all work well in the crockpot. Season vegetables with salt and pepper and you have a one pot meal. 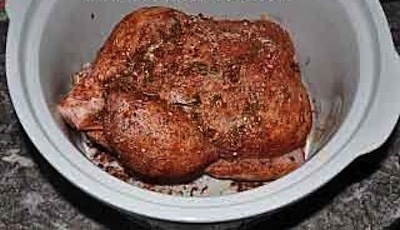 We love this crockpot roast chicken recipe at our house. It is a little spicy but it really doesn't effect the taste of the chicken. If kids or adults don't like spice they will still love this recipe. Mix all the spices including salt, paprika, cayenne pepper, thyme, pepper and garlic, together in a small bowl. Wash the chicken well and pat dry. 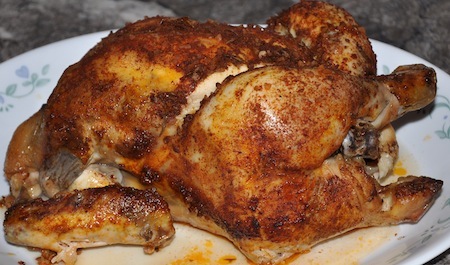 Place chicken in crockpot and coat the chicken thoroughly with the spice mixture both inside and out. Place the onions in the cavity of chicken. Do not add any liquid. Cover and cook on low 6-8 hours. Wash and dry roast chicken. Place in crock pot. In small bowl mix olive oil, mustard and lemon juice. Blend together and pour over roast chicken. 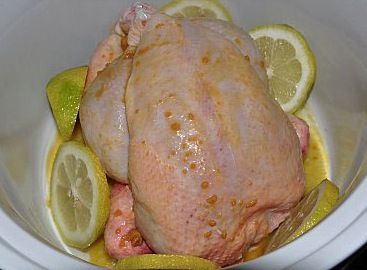 Add sliced lemons inside the chicken cavity and around the edges. A whole chicken is super easy to cook. It needs very little prep work. Wash the chicken, pat dry and place in a baking dish if you are using the oven or the crockpot if you have one big enough. 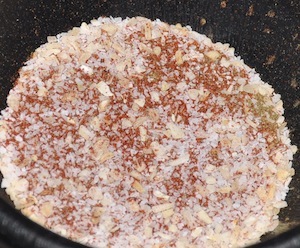 You can season with salt and pepper or the spice mix above and let it cook. Depending on the size of your chicken, you will need to cook the chicken around 1 hour in the oven. Read the package directions for exact time and use a meat thermometer to check for doneness. 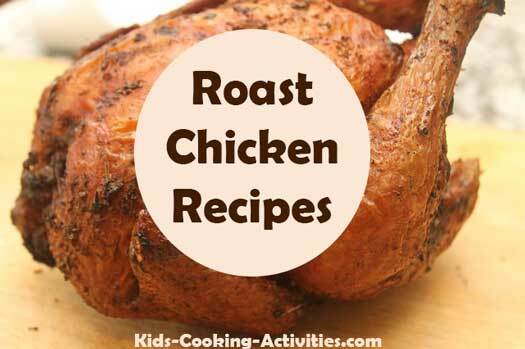 Here are 5 ideas of what to do with your roast chicken meat now!